Lewis and Clark State Park is situated on one of the upper bays of Lake Sakakawea. The park features miles of shoreline with picturesque views of towering buttes and rolling hills, that provide a rugged backdrop for the park. Modern boating facilities, including a marina with slip rentals and boat ramps, are major attractions. Anglers will find excellent fishing for walleye, sauger and northern pike. Lewis and Clark State Park is home to the largest native mixed-grass prairie of any North Dakota State Park. Visitors can become acquainted with the natural communities associated with the park by hiking a self-guided nature trail. Visitors can also enjoy the swimming area and a day-use beach located along the east shore of the campground near the camping cabins. Kayaks, canoes and stand-up paddle boards are available for rent. 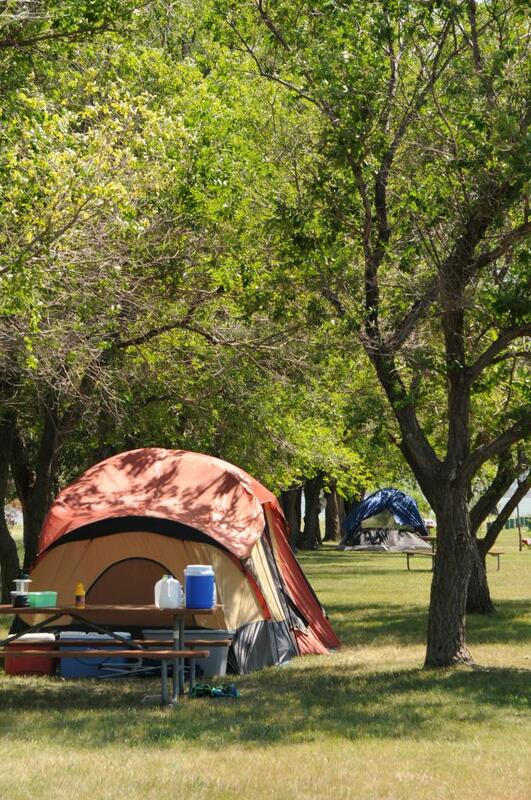 Lewis & Clark State Park is home to two seasonal camping cabins. The Clark and Lewis cabins are situated next to one another along the edge of Lake Sakakawea. The cabins are located in the Bluebird Loop campground. 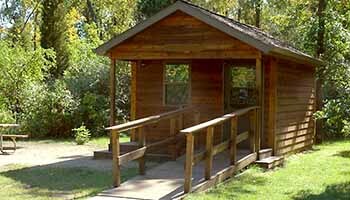 The Clark cabin is the only handicap accessible cabin in the park. - Game or fish cleaning in or around cabins not allowed, please contact park staff for other arrangements. The Lewis & Clark marina rangings from 20ft to 50ft in length and protected by a rock breakwater. Two piers are available; Pier 1 slips are 20 feet to 28 feet and Pier 2 slips are 46 feet and 50 feet. The Marina offers fuel (unleaded) and a septic pump out service on the water. Navigable water levels are 1830MSL and above. Canoe and kayak rentals are offered during normal store hours during the summer season. Dry storage is available for both summer and winter seasons. For questions concerning the marina or slip rentals, contact the park directly by at 701-859-3071 or by e-mail at lcsp@nd.gov. The visitor center is open 9:00 am to 8:00 pm Monday through Sunday during the summer season and 9:00 am to 5:00 pm during the winter months. Ice, firewood, tackle, clothing, souvenirs, and snacks, as well as restrooms, are available. Lewis & Clark State Park has a four-lane boat ramp that gives user’s access to Lake Sakakawea. The ramp is located on the east side of the park. Designated parking, restrooms, fishing cleaning station, marina, and floating gas pump is located nearby. included in rental fee. The park has 2 canoes available for rent. included in rental fee. Two single kayaks, one double kayak, and one single fishing kayak are available for rental. included in rental fee. Two stand-up paddle boards are available for rent. On the north shore of Lake Sakakawea, Lewis and Clark State Park is situated among the rugged buttes of the North Dakota Badlands. The park is named for the Corps of Discovery explorers Meriwether Lewis and William Clark The expedition camped nearby on April 17, 1805. This .41-mile self-guided trail includes a number of interpretive stations and is easily accessible from the trailhead near the park office and concession store. The nature trail crosses an old prairie track dating back from early settlement. Old muddy ruts from the wagon wheels can still be seen today. The interpretive trail meanders through native prairie and wooded ravines. 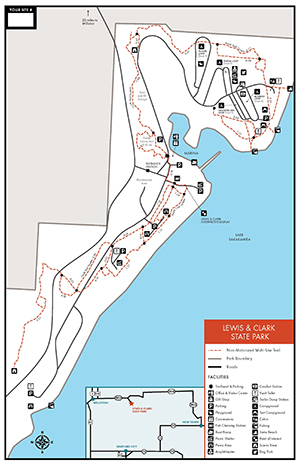 Trail guides can be picked up at the Trader's Bay Visitor's Center or entrance booth. This trail system is approximately 2.55 miles in length, extending from the trailhead near the park office and concession store, north along the boundary of the park. It returns parallel to Lake Sakakawea and ends at the modern campground access road. The trail rambles through a portion of the Prairie Nature Trail and continues north through native prairie intermixed with traces of woody draw communities. The trail provides a wonderful badland vista, and overlook of a beaver pond and a beautiful walking bridge. While taking a break on one of the many benches provided, listen closely for the catlike "meow" of the gray catbird's call or perhaps spot the distinctive deep blue head and underparts of a male Lazuli bunting. Hikers may catch sight of soaring turkey vultures. This 2.8-mile multi-looped route combines Lewis and Clark interpretation with some wonderful native prairie images, views of majestic badlands and Lake Sakakawea. Open areas and native prairie hilltops provide good butterfly watching opportunities. Catch a glimpse of common banded or Pawnee skippers flitting amongst the blazing stars or perhaps take a photo of an Ottoe skipper sitting on a purple coneflower. Birding opportunities along the trail are also great. Watch for the black bib and horn-like feathers of the horned lark or the large white wing patches of the lark bunting. Take a timeout on the bench under the ash tree and listen to the soft trickling of the stream and perhaps hear the familiar musical song of the yellow warbler, "sweet, sweet, sweet, I'm so very sweet." This 3.03-mile multi-use trail is the longest trail in the park, running along the shore of Lake Sakakawea. Access to the trailhead is near the group campground. The trail meanders through the eastern edge of the park providing excellent views of the lake. Often different birds of prey such as Prairie Falcon and Swainson Hawks can be seen soaring overhead while hiking this trail. 2019 potential first place payout: $30,000. Total potential payout is $85,000. The Williston Convention & Visitors Bureau in partnership with Lewis & Clark State Park are excited to host the 2019 Lewis & Clark Big 10 Showdown. This will be a two-day catch and release tournament held October 5-6. The tournament will pay out to 10 places, with prize money based on a full 100 team field. Entry fee per 2 person team is $1000.